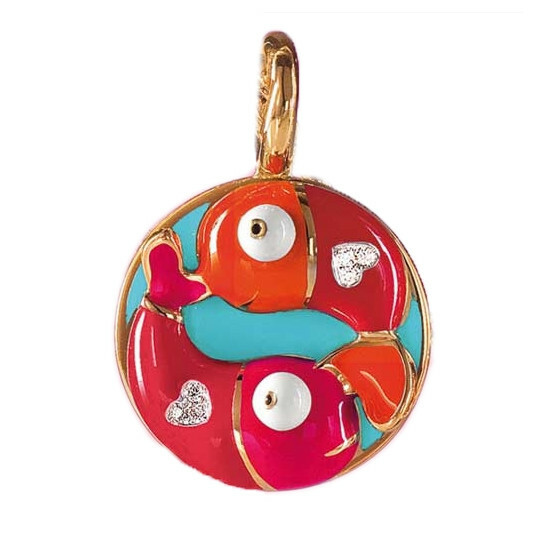 From Aaron Basha's Zodiac Collection is this adorable Pisces Charm in 18kt Yellow Gold. Show off your child's zodiac sign in luxury! Add this Aaron Basha Zodiac Charm to your charm bracelet for a personalized and chic style that will be cherished for a lifetime! Copied by many, but this is the original.